Tournament Hills, part of the Summerlin Master Planned Community, is a guard gated community consisting of luxury and ultra-luxury homes. Located in the residential village of The Hills, Tournament Hills is known as being on the premier addresses in all of Las Vegas. 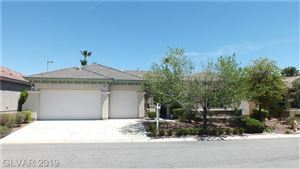 Designed around the Tournament Player’s Club world renowned golf course, Tournament Hills homes have great views of not only the golf course, but the Spring Mountains to the west and the Las Vegas Strip to the east. Although the Tournament Player’s Club is a Member’s Only club (Tiger Woods won his first PGA tour here), Tournament Hills offers a host of other amenities including world class schools (Lit’L Scholar Academy, The Shenker Academy), shopping (including close proximity to Downtown Summerlin), libraries and business and cultural centers. Homes at Tournament Hills boast a varity of architectural styles from contemporary to Mediterranean to classic, and all are luxury homes ranging in size from 4,000 to 10,000 square feet on acre+ lots. All homes are within the guard gated walls and typically start at $1,000,000. Lots sizes are large enough to accommodate homes with ten bedrooms, ten car garages, and pools and spas. The Foster Beckman Group can help you find a home for sale in Tournament Hills! Our team of Las Vegas Real Estate Agents and home specialists at Foster Beckman Group are available to help you buy, sell or invest in Tournament Hills property. Call us today at 702-686-2695 to see how we can help you with all of your real estate needs!